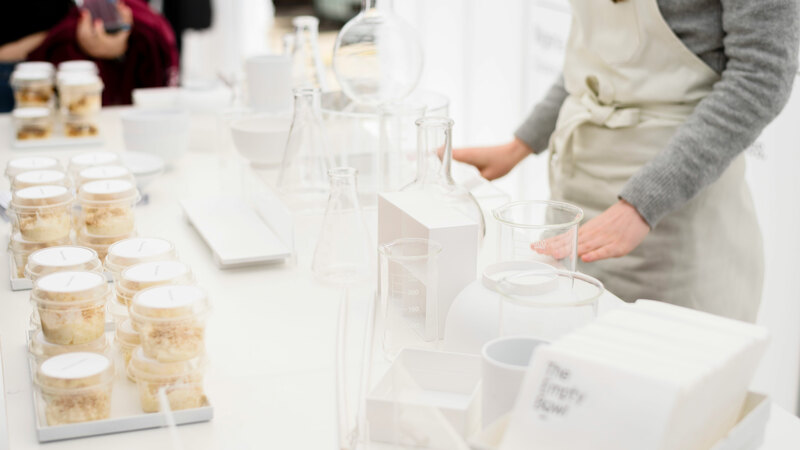 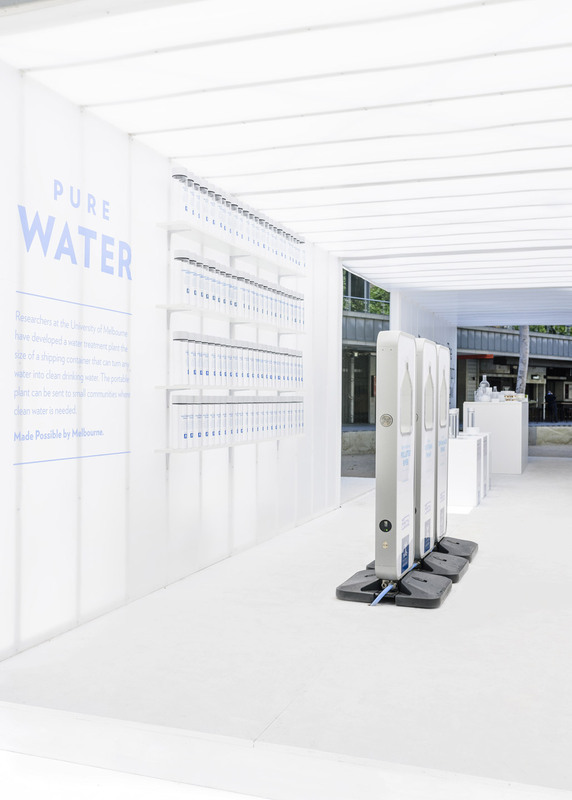 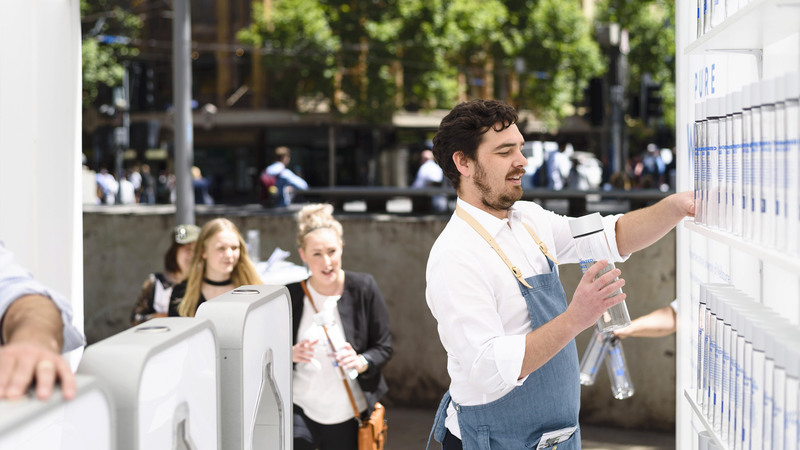 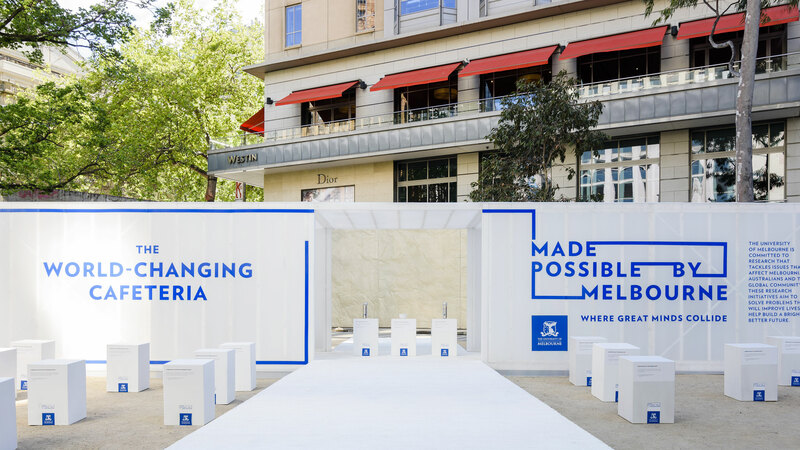 To showcase University of Melbourne’s world-changing research, we designed and built a temporary pavilion in collaboration with Firecracker Events for Melbourne’s City Square that gave passers-by the opportunity to discover, learn, eat and drink. 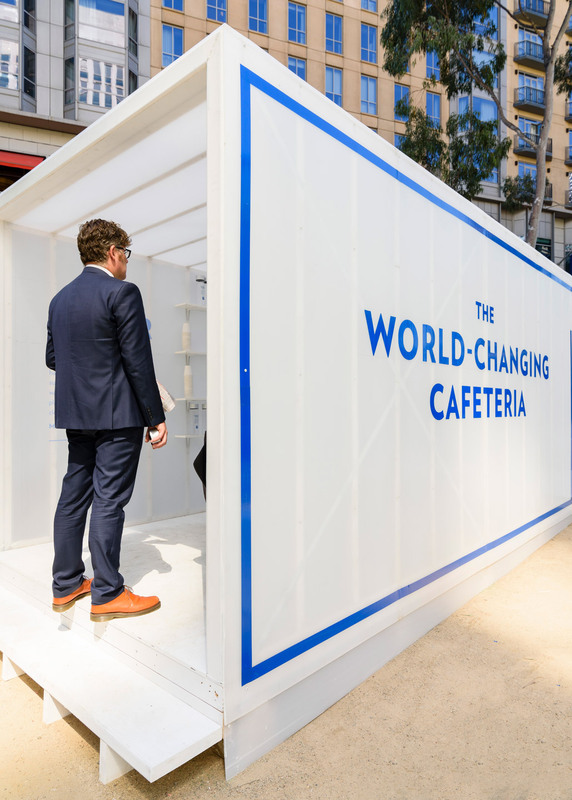 This formed part of the larger campaign by McCann Advertising Agency. 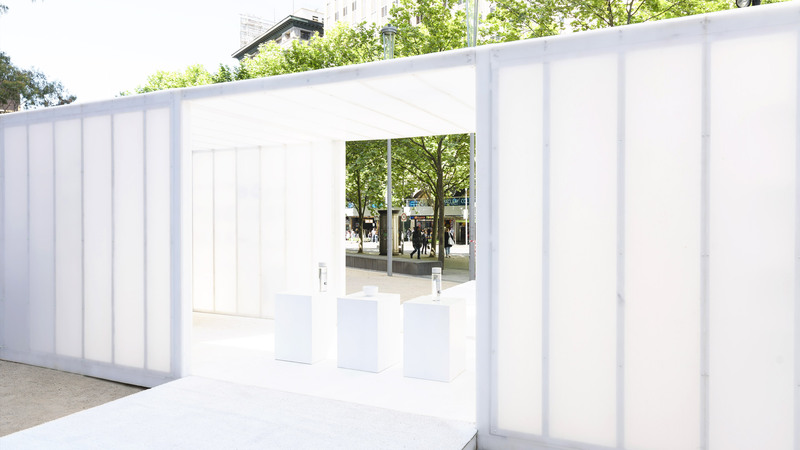 Mindful of the tight construction timelines and on-site constraints, we took a modular approach to the design and construction of the pavilion. 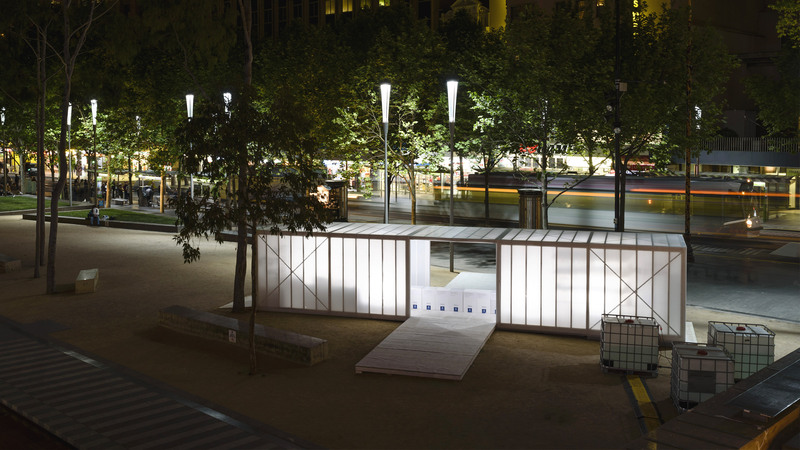 Constructed offsite, assembled on-site and later up-cycled, the pavilion performed its part of the larger brief in highlighting University of Melbourne’s world-changing research. 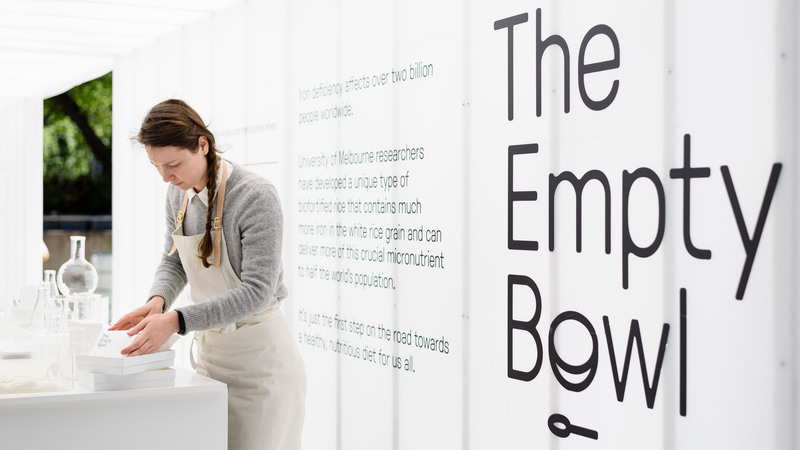 We wanted to reflect both the purity and futuristic potential of the research on display. 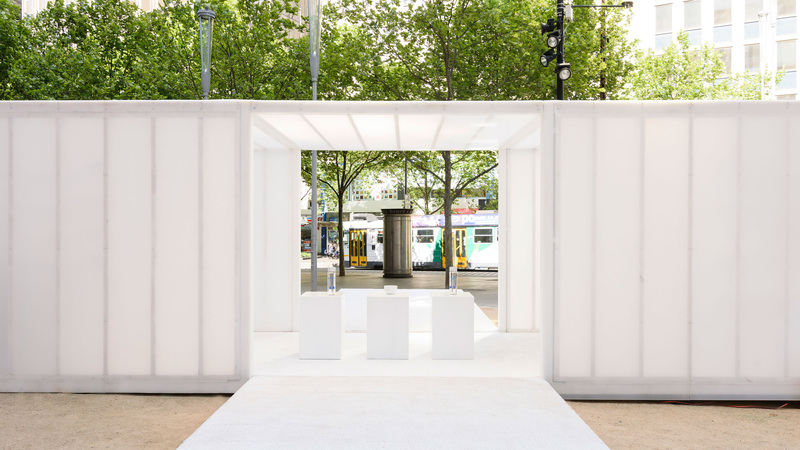 The minimal structure, built simply yet thoughtfully out of timber and corflute performed like a lantern – drawing people in from the street and internally diffusing sunlight with a clean, laboratory-white glow. 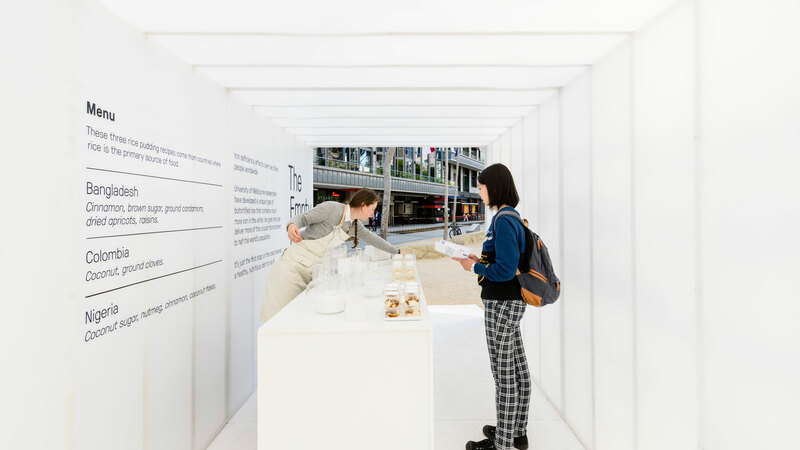 Over a weekend the pavilion was hosted by a number of Firecracker staff who served over 3000 people and University of Melbourne researchers who presented their work to the public.